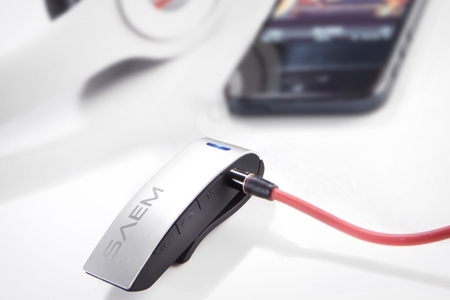 Turn any headphones or speaker with a 3.5mm jack into a wireless streaming device with the Veho SAEM� S4 Bluetooth receiver. Enable wireless music streaming to any headphones by simply plugging them into the SAEM� S4 Bluetooth receiver and connecting wirelessly via your Bluetooth enabled device. 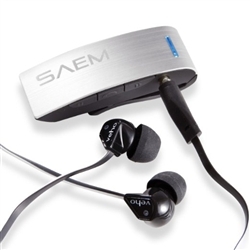 The SAEM� S4 will also convert any device with a 3.5mm line in (AUX) jack to become a wireless streaming device. This may be your home HiFi equipment, a portable speaker or your in car stereo system. 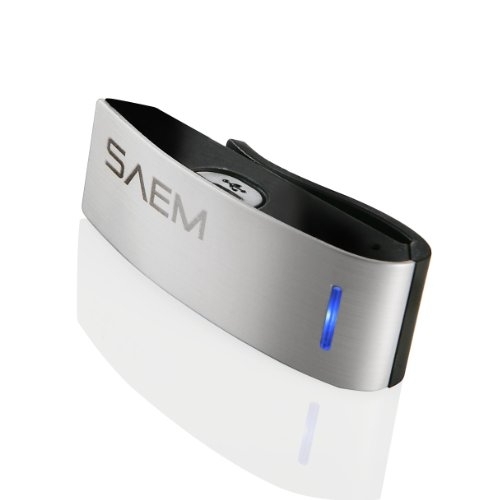 The SAEM� S4 built in microphone enables any headphones to become a wireless headset and with the built in music interrupt you will never miss a call if your phone is safely stored out of sight. 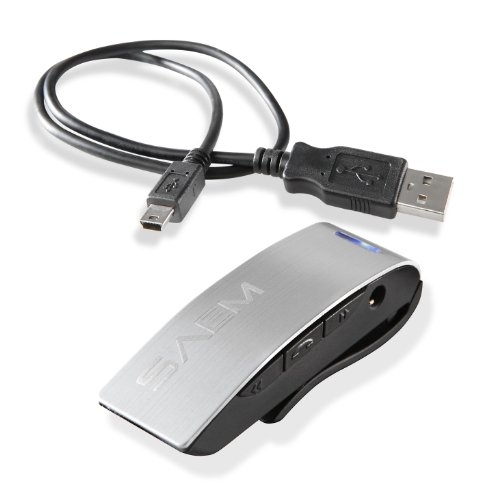 The stylish ergonomic design of the SAEM� S4 with built in clip means it can be clipped anywhere onto clothing whether that is a business suit or running vest which means that your phone or Bluetooth enabled device can be stored away safely. Configured with a powerful rechargeable battery, the SAEM S4 gives 6 hours of constant wireless playback as well as track control and volume control. The SAEM� S4 is perfect for the gym enabling you to leave your phone safely by the side of the running machine or for other active pursuits where you want to store your phone away safely but still listen to your music. Also convert your car stereo (AUX in dependent) to become a wireless Bluetooth car kit or simply for streaming music to your car or home stereo from your smartphone, iPod or tablet. - Compatible with standard 3.5mm headphone jack or AUX line in. Convert any headphones into wireless headphones. - Ergonomic, micro, clip on design perfect for running, gym, active pursuits and commuting. - Rechargeable battery enabling constant 6 hours wireless play back. Volume and track control. - Auto call interrupt ensuring important phone calls are never missed.